There are basically three GFCI types available on the market and GFCI testing should be routinely performed on all of them for at least one reason – they contain mechanical parts which can and do fail ocassionaly. Each one of them provides the same type of service / protection – it saves lives by limiting duration of an electrical shock. GFCI receptacle is the most popular device and it has been in service since early 1970’s. It looks almost like a regular electrical outlet, with two small buttons located usually in the center. The buttons are marked “test” and “reset”, sometimes in 2 different colors, sometimes the same shade as the GFCI receptacle body. 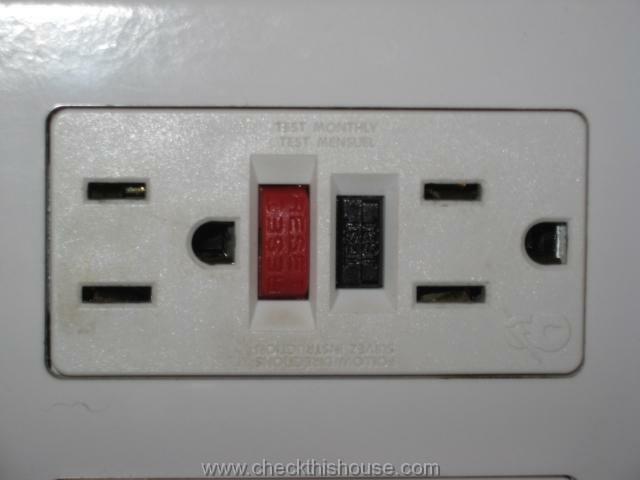 While conducting GFCI testing / pressing the test button, your are creating a situation in which GFCI should trip and disconnect the power to anything plugged into the receptacle. Unfortunately, millions of GFCI outlets installed in our homes have a little safety glitch, if improperly wired, the device will trip but the power remains on… pretty scary for a safety device – click the following link – GFCI outlet safety. GFCI receptacle has two terminals on the back marked “LINE” connection (this is where the power supply from electrical panel should be connected), and two terminals marked “LOAD” where additional outlets might be attached. By accidentally switching line and load wires in those millions of receptacles, the “glitch” is activated. 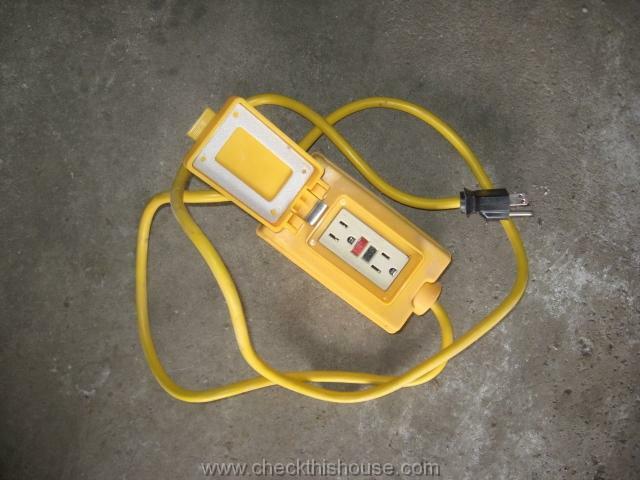 The easiest way to perform GFCI testing for its receptacle line – load connection is to insert a 3-light receptacle tester into it or connect a lamp to the device and push “GFCI’s TEST button (the lamp method does not test other wiring problems). If the button trips but your light fixture remains on, the wiring has been most likely reversed and GFCI receptacle provides no protection at all. Newer GFCI receptacles have a feature called “Smart Lock” which prevents this from happening. You can easily recognize those devices by a small padlock sign in one of the corners of the face plate – any improper wiring blocks the test button. This isn’t something that you must have, but make sure that your GFCI receptacle without the “Smart Lock” sign has been properly wired. 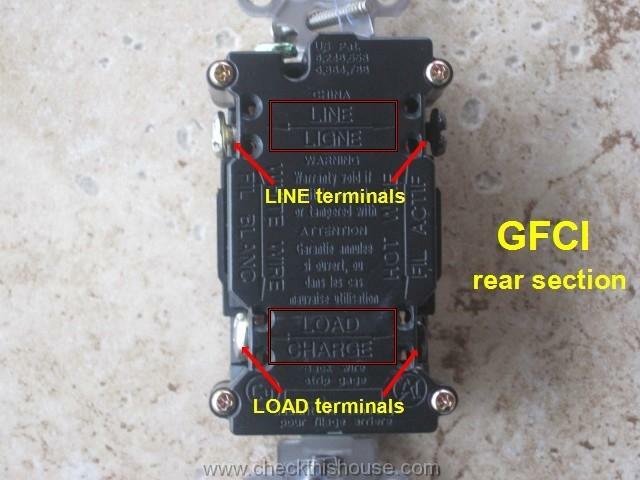 GFCI types and GFCI testing – Important feature! 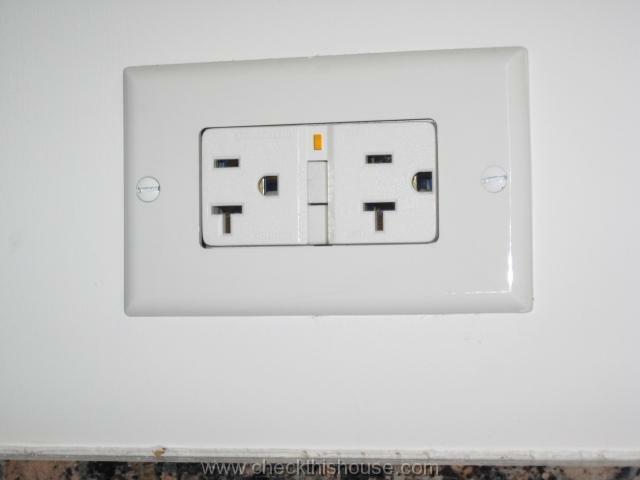 One, extremely important feature of GFCI receptacles is that they can be used to replace 2-prong / ungrounded outlets. This provides protection from electrical shock for us, but still no ground for equipment. 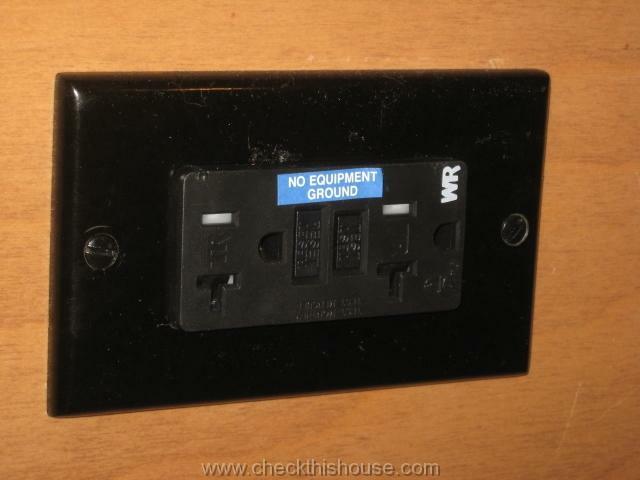 Newly installed GFCI receptacle and all outlets connected downstream from it (on the load side) must be marked as “GFCI protected” and “not grounded” – this is a code requirement. GFCI portable devices plug into a regular house outlet and provide protection to whatever is plugged into them. Some of them look like an extension cord with a thicker section containing protective device, other have a weatherproof enclosure with a build in GFCI receptacle, etc. You should be using them in all situation where GFCI outlet receptacle or GFCC circuit breaker protection is required, but not available. 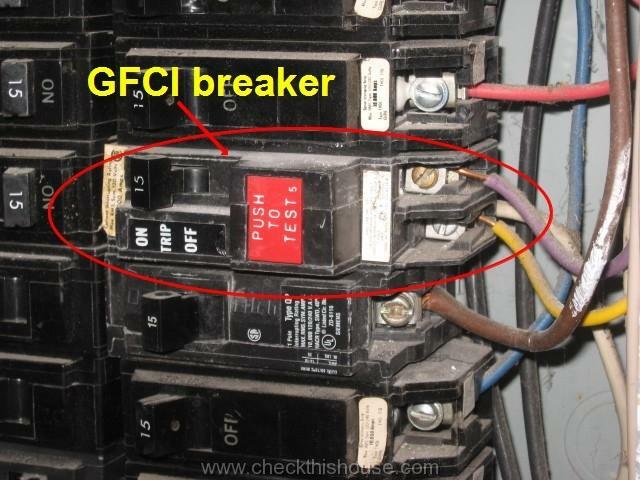 GFCI circuit breakers act almost the same way as a GFCI receptacle. While GFCI receptacle disconnects hot and neutral conductors, breaker takes care of the hot only / the neutral remains closed. GFCI circuit breakers are much more expensive than receptacles, but in some cases it might be cheaper or easier to replace just one breaker instead of changing several outlets. GFCI circuit breaker has a test button, which should trip the breaker handle to the center position when depressed. In order to reset the breaker, you have to push the handle all the way to “off” position, and than back to “on”.